More companies are opening up content positions in their departments thanks to the growth in, and corresponding investment in content marketing, with 75% of companies increasing content marketing investment, and 43% increasing staff levels according to 2016 Curata data. Michael Gerard and I have put together a list of key competencies to consider when hiring your next content marketing superstar. 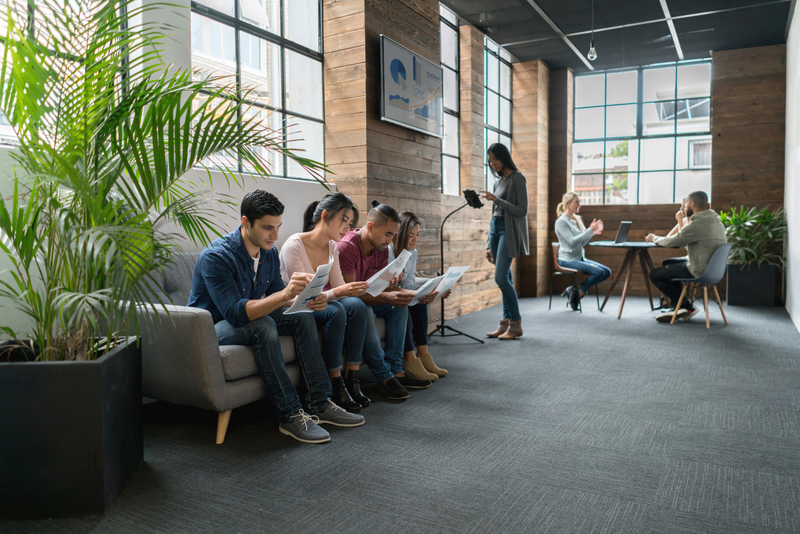 We’ve also included interview questions an employer should ask, and a candidate should be able to answer, while interviewing for these positions. This blog post has an overview of interview questions and responses. 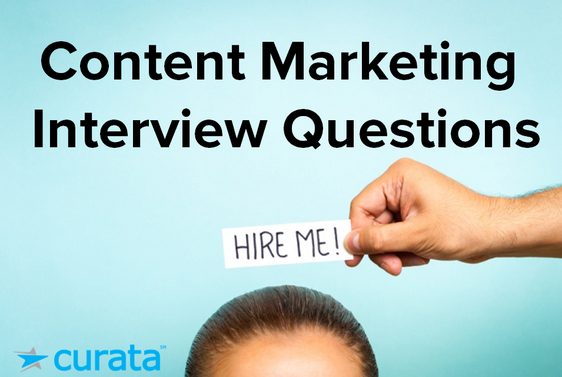 For a full list of interview questions, the ideal responses, and evaluation criteria, download Curata’s Content Marketing Interview Template. 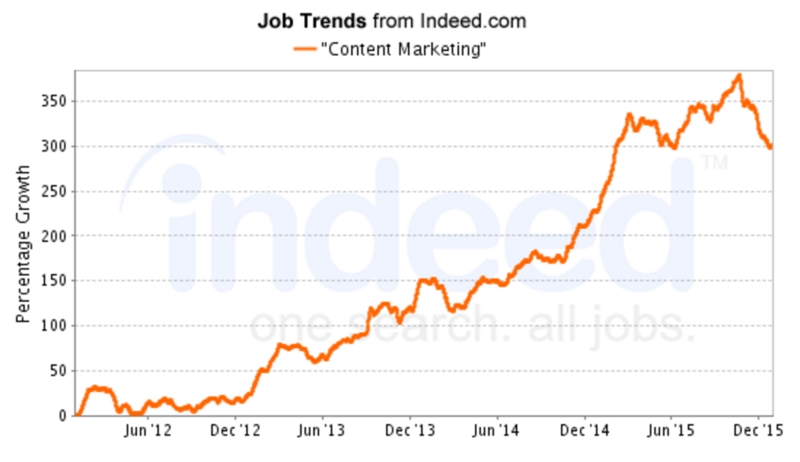 Looking at job trends on Indeed.com reinforces this: the inclusion of “content marketing” in job descriptions has skyrocketed nearly 400% in recent years. Below are some of the must-have competencies to identify in your next content marketer. These may vary slightly depending upon your organization and what level individual you’re looking to hire. Passion and Talent for Content Marketing (and writing). This is number one on my list. You need to be a great writer and editor, highly creative, able to tell a story, and most importantly—love doing content marketing. Although more detailed questions are provided below, you need to understand if your candidate really loves content marketing, and if they will take the initiative to develop and grow in the role. Aligning Content with Market/Customer Needs. Content marketing is the process for developing, executing, and delivering the content and related assets needed to create, nurture and grow a company’s customer base. If you don’t have the capability to understand a market (e.g., be able to listen to customers and influencers, and identify their communicated and latent needs), you simply won’t be able to deliver great, engaging content. Understanding What Drives Successful Content. Some of the best writers in the world will never be successful content marketers. A superstar content marketer must understand what drives success in their market and within their organization (e.g., understanding Google search, measuring performance, translating data into insight). Maintaining a Consistent Supply of Quality Content. This competency deals a lot more with operations than simply content creation. Producing and delivering great content on time on a regular basis is no easy feat. Action-Oriented. Being a content marketer requires working with many people that don’t report to you, and getting them to deliver a product or service that can make or break your own success. This can include content from a product marketer, SEO insight from the digital team, and promotion by the social media team. Your content marketer should have the drive and creativity to do what it takes to get the product (i.e., content) out the door, optimize its promotion, and be prepared to do things differently when required. They need to be able to take a risk when necessary. Multi-Tasking. This is the ability to manage many activities and prioritize deliverables in a demanding, fast-paced environment. No doubt there’s some overlap here with being action-oriented, however, the need to be a great project manager cannot be under-estimated—especially for more senior staff. Desire and Ability to Work in a [Small/Large] Company. Select which version is best for your organization. There are significant differences between the two environments. Understanding and Use of Technology. Take a look at this Content Marketing Tools map and you’ll quickly understand the opportunity and challenge that exists for today’s marketer to tap into the power of new software. Below are some of the must ask interview questions for any content marketing position, aligned with the competencies described above. Many of the questions are low level and tactical rather than strategic in nature—and more appropriate for a content marketing specialist than a Vice President of Content Marketing. My philosophy however, is that in order to run a content team and create a content strategy, you need to know how to perform the duties of the team you manage. So I also ask senior level hires these same interview questions. Refer to the Content Marketing Interview Template for a more comprehensive list of interview questions as well as examples of poor, mediocre, and great responses to these interview questions. Why it’s important to ask this: Content marketing is a lot more than writing; however, I consider this talent to be a foundational element of a superstar content marketer. You have to love what you do. What to look out for: Look for indicators that they have a passion for writing. Understand what drives their passion, what outlets they’ve used to express this passion, and what personal benefits they get out of creating content. Describe how you determined the style, tone, and voice for a specific piece of content you recently completed. Why it’s important to ask this: Your content marketer will need to express a unique voice and opinion in their work. However, they also need to adapt their own style as a function of your company’s needs, the audience, format of the content, person they’re writing for, and so on. What to look out for: Look and ask for specific examples of how they modified their style, as well as asking them to identify why this is important. Provide a specific example of content you created that entertained and/or educated your readers. Why it’s important to ask this: Content marketing is about adding value to your readers, such as providing an infographic that educates about their industry, or creating an entertaining video that helps them with their job or career. 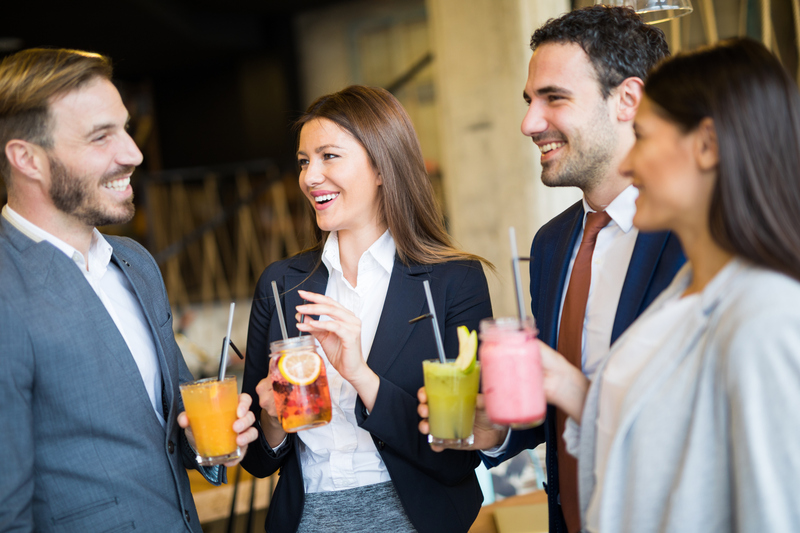 Your team needs to create content that provides entertainment such as through story-telling or comedy in order to stand out from the crowd, and to capture and sustain their attention. What to look out for: Look for examples of their content that told a story, used humor, and/or educated their audience about something other than a company’s products. Bonus points if the candidate has delivered more unique formats of content, such as infographics, podcasts or interactive content. Ask for examples of where they’ve used visual content, including why they were or weren’t successful. Why it’s important to ask this: Is the candidate really interested in content marketing? Do they take personal initiative to educate themselves and grow as a content marketer? Or will they only grow solely through your mentorship on the job? What to look out for: See if they mention specific blogs. If they just say, “you know, all of them,” or “the usual ones,” they are likely not reading any. Describe a situation in which you were given feedback on a content piece. Why it’s important to ask this: I certainly want a content marketer to have an opinion about what works and what doesn’t work. However, it’s also important that they can accept critiques about their work and make changes as necessary. What to look out for: Understand what type of feedback they received, how it made them feel—and most importantly—what they did with that feedback. 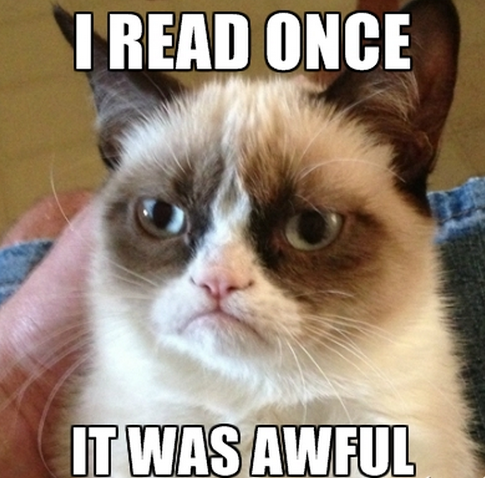 What process do you use when proofreading? Why it’s important to ask this: I certainly want a content marketer to have an opinion about what works and what doesn’t work. however, it’s also important that they are able to accept critique about their work and make changes as necessary. What are some of your greatest “pet peeves” when editing someone else’s writing? Which style guide(s) do you depend upon? See “Great Responses” in the Content Marketing Interview template. How do you decide which content topics to focus on and what format that content should take? Why it’s important to ask this: What drives a person to invest their time and effort into creating content? Is it anecdotal insight such as a hallway conversation with a sales person—which may be a good place to begin investigating an idea, but not the final driver for its execution? Or is creation more data-driven, such as through Google Analytics or insight from a content marketing platform? It’s your first day on the job. Walk me through the steps you’d take to develop a content strategy for our organization. This is more of a case study type of question, better suited for senior hires. Check out the following eBook as a resource to best understand responses for this question: How to Create a Content Strategy: The Content Marketing Pyramid. Why it’s important to ask this: In order to create great content, you have to know how to discern which content is doing well in the first place. The more they name off and can sensibly explain the importance of, the better. Walk me through how you create a blog post. Why it’s important to ask this: This is a good question to tease out which parts of the content lifecycle the candidate is familiar with. Do they only have experience with copywriting, or can they come up with blog ideas themselves? Do they stop at writing the blog post, or do they keep promotion on social media in mind as well? What to look out for: You should look for a response that captures the whole process from start to finish, from ideation to production to distribution to analytics. A great answer will include specific tools and details. Here’s an example of great and mediocre responses. 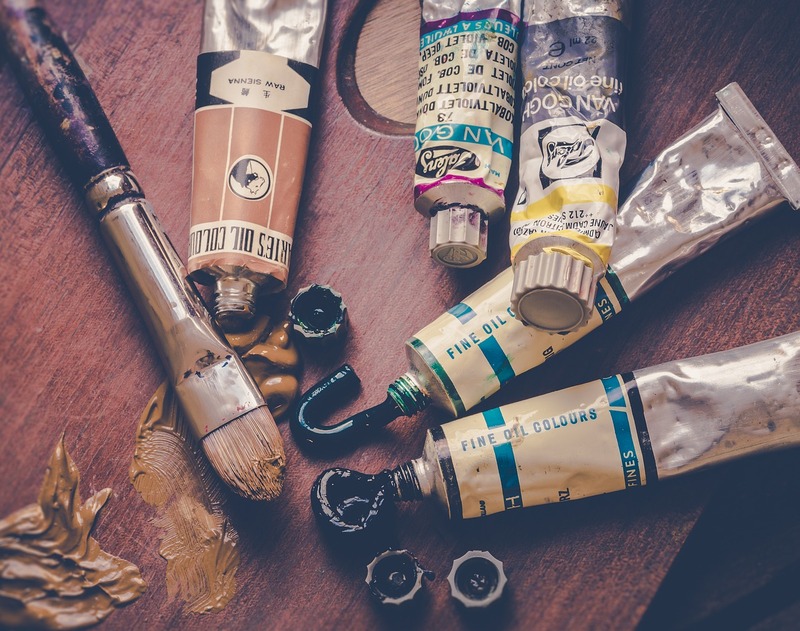 How do to decide what to content create? My manager tells me what I should write about and gives me an outline. I look at what’s trending and pick an interesting topic. I keep a backlog of keywords that people are searching for in Google related to my target topic, and create posts based on the backlog. I set up Google News alerts and a feed reader to look at which topics are trending in the news that relate to my topic area. I come up with spins on those topics to newsjack those stories. I regularly ask the sales team what questions their prospects are asking, and use the responses as fodder for my next post. What steps do you take when you actually create your content? I write my blog post in Word and then post it when it’s ready. I write my blog post in Word, add hyperlinks to at least three other pieces of content on our site that we’ve published, and add at least one hyperlink to a third party resource. I ensure there’s an associated featured image for the post by going to a stock image site. I always make sure there’s a clear call to action at the end of each post. For quality control, I make sure at least one other person has proofread it before publishing. I optimize the title for a target keyword by looking at what terms people are searching for in Google. After you have published your content, how do you promote it? I publish my content on WordPress, and then tweet it out as well. I publish the post on our blog using WordPress. I then schedule a minimum of four tweets at different times of the day in HootSuite. I email coworkers to retweet and share my post as well. I ask the demand generation team to include it in the next email newsletter to our database. How do you know if your content has performed well or not? Usually I just know if it’s done well or not. I look at Google Analytics after a few days to see how many page views it has received. I search on Google for the target keyword I was optimizing for to see if it ranked in the first page. I look at the Twitter counter on the post to see how many tweets cite this post. How does Google rank content? Why it’s important to ask this: I am always surprised by how few marketers at any level understand how Google really ranks content. Though you’re not interviewing for an SEO position, content marketing is intrinsically tied to search engine optimization; everyone should know the basics when creating content. What to look for: You don’t need a candidate to know the PageRank formula, but rather the basic premise behind Google’s ranking algorithm, along with other auxiliary factors that help with SEO. For example, many naive marketers think Google ranks content largely on meta tags and keyword stuffing. In reality, Google primarily ranks content on inbound links, and the authority of the sites doing the linking. It’s a bonus if a candidate can mention other contributing factors such as the text of the hyperlink, the title tag, keywords in the URL, and others. What are some good ways to get other people to link to your content? Why it’s important to ask this: The candidate may understand Google ranks content based on inbound links, but they also need to know how to accumulate inbound links. I interview influencers, not only because they have good things to say, but because they promote the resulting content to a large audience as well—and some of those people will end up linking back to my interview. I include content others can reuse. For example, I may create a quick infographic that other bloggers may want to curate or include in their own posts, with a link back to mine. I write long form content so I have the most comprehensive and authoritative post on a particular subject, which tempts others to link to me as the reference source. Why it’s important to ask this: Many candidates may come in with writing samples from the past, but they may not accurately reflect the candidate’s capabilities. For example, the sample may have been proofed by a manager. Furthermore, it doesn’t accurately assess whether the candidate can create content that relates to your specific industry and topics. Grammar, spelling, and attention to detail. Did they care enough about the job to proofread the post? Title of the post. Did they come up with a creative title for the post? Is it SEO optimized? Or did they just copy the title of the eBook? Call to Action. Did they include a call to action to the full eBook at the end of the post? Paragraphs and structure. Is the post quickly skimmable? Or is it a wall of words? 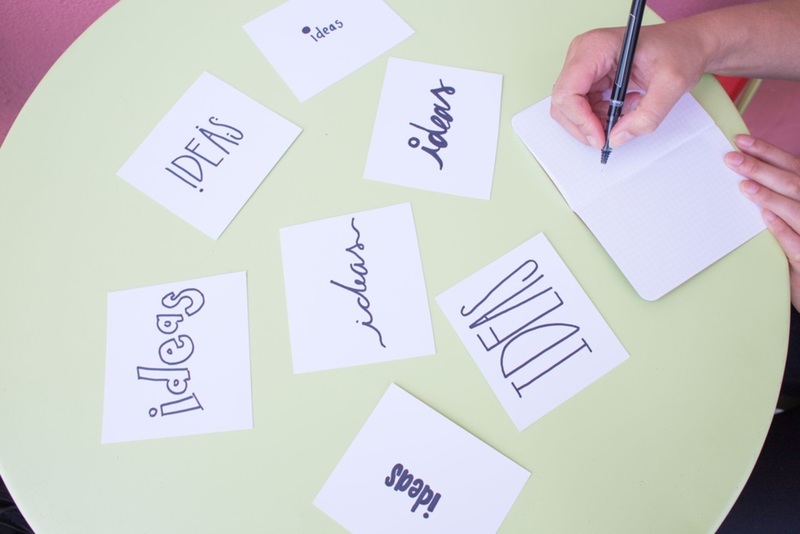 Similar to interviews for other positions where candidates are asked riddles, the candidate may not use these skills every day on the job, but all of the above interview questions help tease out if they are cut out to be a well rounded content marketer. Even if they make it through all the above interview questions with flying colors, it does not necessarily mean they’re a fit. It’s important to screen for cultural fit, and to make sure they have a good work ethic. 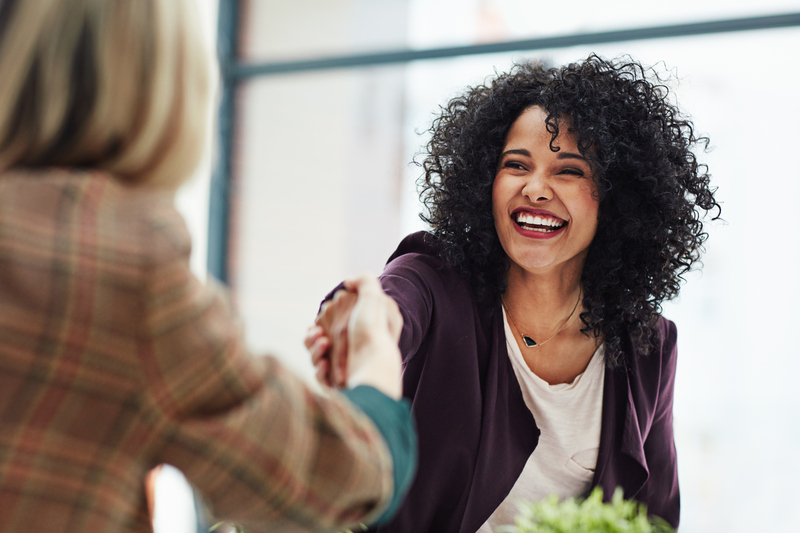 If they are a strong candidate on these fronts, as a hiring manager it’s your turn to answer some of the candidate’s interview questions: Why should they work at your company? How is your vision for content marketing any different to any other marketing department out there? Employers: What do You Think? Since being a professional “content marketer” is a relatively new role, we would love to hear which interview questions you have found to be effective. Please let us know in the comments below. 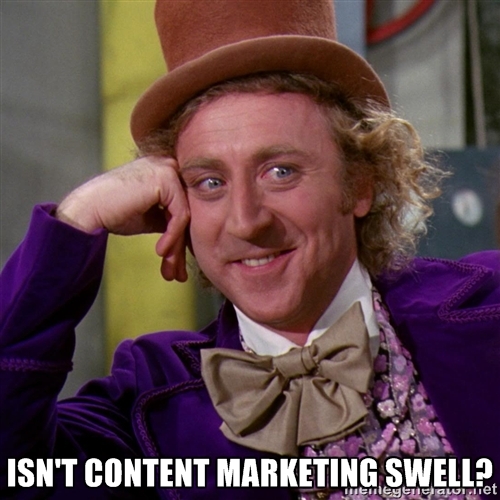 If you think you are cut out to be a content marketer, come work at Curata! There’s no better place to be a content marketer than at a company that serves content marketing departments of all sizes, big and small. Apply now to be our next content marketing superstar. We look forward to meeting you and grilling you on the above interview questions (although you now know the answers we’re looking for). For a full list of interview questions, ideal responses, and evaluation criteria, download Curata’s Content Marketing Interview Template. Pawan, this is excellent for organizations looking to hire their first content marketing employee(s). 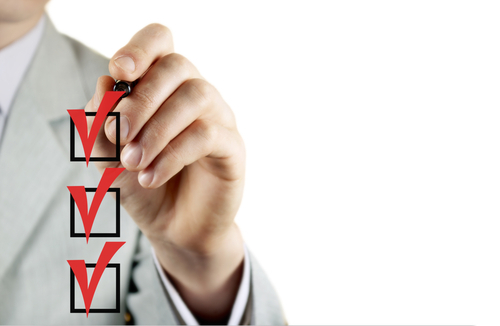 It also serves as a smart checklist for those seeking qualified freelancers and consultants. And for those content marketing consultants, it’s a handy reminder of the kinds of questions to expect from discerning clients. This one’s a keeper. Thank you! I also ask the candidates if they like to / want to write or if they see it as a chore. And one of my favorite questions is to ask for their view on how to use social media to push content that isn’t about what they ate for lunch. That’s great. Another way I like asking that (independent of the position) is what activities do you like to do and what activities do you want to avoid? I find that candidates often think a lot about what they want and like to do, but not what they dislike. audiences. I like to hear their thoughts on how they can sustain a blog over time. Aside from numbers, what difference has their content made to their organization? As we know, content consumption habits are evolving and varied. I want to understand their thoughts about integrating audio and video into their posts as well as images. What do they believe is the proper mix of text, audio, video and images in a blog? research they have done about your company. It can give you a sense about how much they care about the position. In some cases, the results of what they create can yield more insight about their potential fit is than less relevant writing samples. Thanks for the feedback. Yes, my line of questioning is highly text focused but multimedia makes sense as well. This is an example of good content marketing disguised as interview tips. 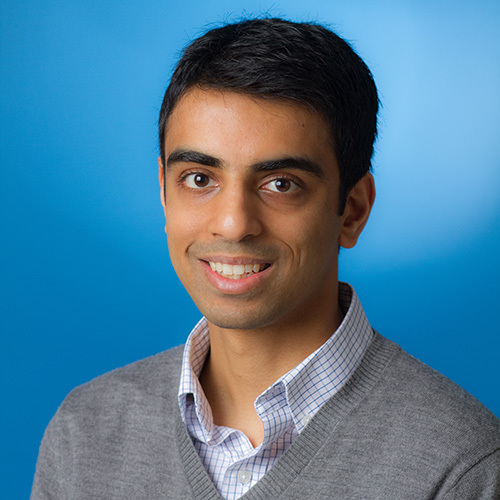 In this case the objective is to put content out there that attracts potential and highly relevant job candidates and get them to work at Curata – sneaky Pawan! Working for a marketing recruiter I have learned that at least basic HTML skills for content marketers are very valuable. Also, video is becoming a must in content marketing, and its importance will grow in near future. Understanding how to create content scenarios for video storytelling is important for a successful career path. Agreed. Thanks for the input Olena. Awesome article! Content marketing is a vast field. Hi Pawan, very well written. It comprehensively covers the full gamut of the CM domain. Nice Q & A related to SEO marketing for your site. Very interesting post, thanks Pawan for sharing this stuff on your website. Thank you so much Pawan for sharing a great article. As you know, I follow curata in my LinkedIn directly just because I need your team insight. I loved the way you discuss the topic great work thanks for the share Your informative post. You may try to consider home remodeling contractor.